I’ve been struggling for some breakfast inspiration lately but then I remembered these little loaves that I made 2 years ago. 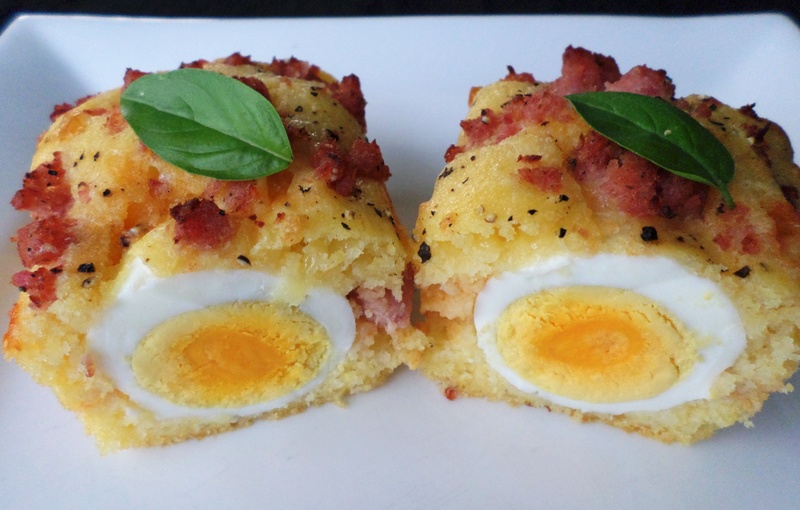 I love the delicious flavour that the cornbread takes on from the bacon, and how pretty the egg looks. You will need 4 mini loaf tins which are each 1 cup capacity. It is also best to boil the eggs in advance – refrigerate them overnight and they won’t overcook when you bake them in the loaves. Place 4 eggs into a small saucepan of cold water over a medium heat on the stovetop. Bring to the boil then turn off the heat, cover the pan with a lid and leave to sit for 10 minutes. Drain the hot water, rinse the eggs under cold water then set aside to cool. Once cooled, refrigerate overnight. Heat your oven to 200C/180C fan forced/390F and spray 4 mini loaf tins with a little cooking spray. Peel your cold hard-boiled eggs and set aside whilst you make the cornbread batter. Put the polenta, flour, baking powder and bicarb of soda into a medium bowl and stir to mix. Add the remaining egg, plus the oil, milk and lemon juice to the bowl and stir until you have a batter. Add the grated cheese and stir to combine with the batter. Divide about half the cornbread batter between the 4 prepared tins. Put a boiled egg into the centre of each tin, then sprinkle over half the bacon and divide the baked beans between the tins. 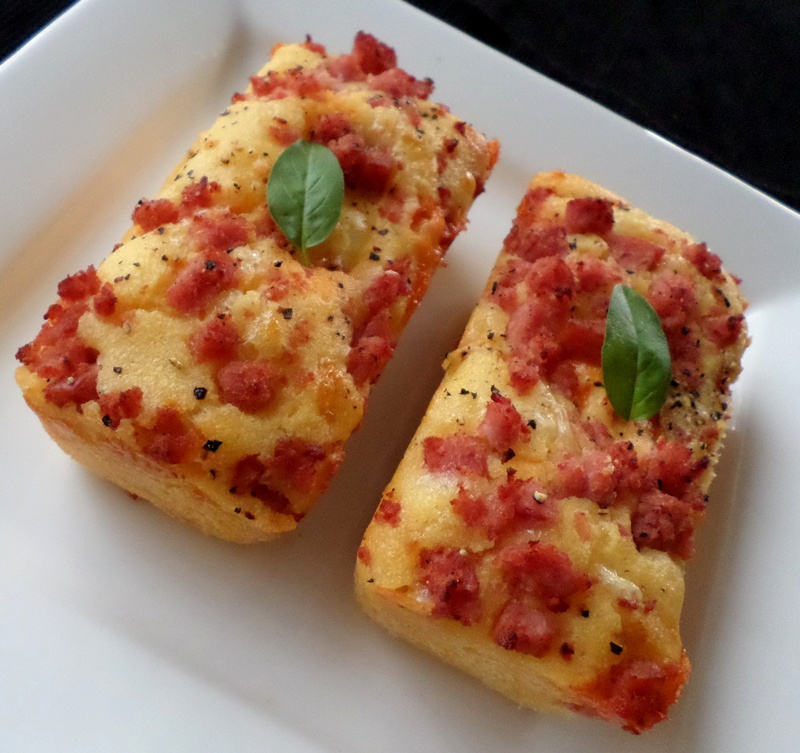 Spoon over the remaining cornbread batter, then scatter over the remaining bacon. Top each tin with a little freshly ground black pepper. Bake for 25 minutes, turning the tins half way through to ensure that they bake evenly. Remove from the oven and leave to sit for 5 minutes before turning out the cornbread loaves. Serve with your favourite type of ketchup (we had BBQ sauce). This entry was posted in Mains, Snacks and tagged Bacon, Baking, Bread, Breakfast, Brunch, Eggs, Food, Recipe, Recipes. Bookmark the permalink.